Lightpro Post Lights There are 6 products. Lightpro outdoor post lights are perfect for installing in gardens as well as commercial settings. The 12v Lightpro system is plug and play. 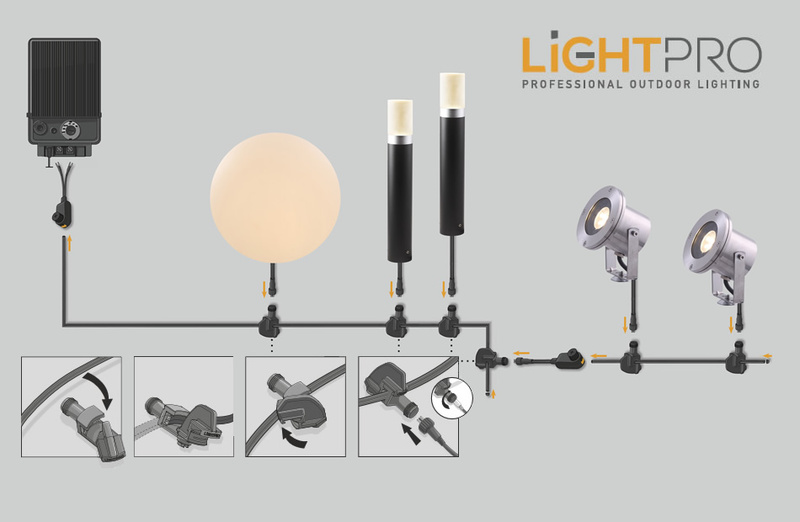 Simply connect your Lightpro cable to your Lightpro transformer and connect your Lightpro post lights to the cable using Lightpro's award winning screw connector. Lightpro's modern post lights come with spikes for borders and mounting plates for concrete and decking areas. The contemporary design would suit the most modern of gardens and roof terraces. In fact any outdoor space you need to illuminate. The Barite 40 aluminium outdoor post light is a real feature in any garden or outdoor area. 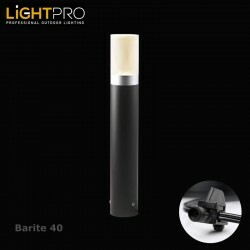 The Barite 40 is the shorter version of the Barite 60 post light. The Barite 60 aluminium outdoor post light is a real feature in any garden or outdoor area. 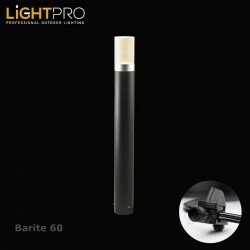 The Barite 60 is the taller version of the Barite 40 post light. 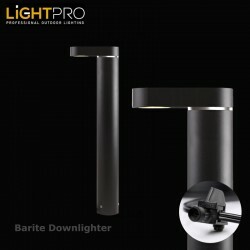 The Barite Downlighter aluminium outdoor post light is a real feature in any garden or outdoor area. This unique style of light is perfect for lighting walkways and paths. The Nina stainless steel outdoor post light is a real feature in any garden or outdoor area. The Nina is the shorter version of the Nodin post light. 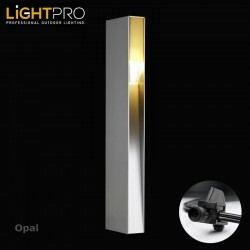 The Opal aluminium outdoor post light is a real feature in any garden or outdoor area. Made from aluminium and anthracite, it's modern looks will suit the most modern of landscape designs.